New in paper. Everyone thinks they know the real Gordon Ramsay: rude, loud, pathologically driven, stubborn as hell. Now, for the first time, the world's most famous - and infamous - chef tells the inside story of his life: his difficult childhood, his father's alcoholism and violence, his brother's heroin addiction, his short-circuited soccer career, and his fanatical pursuit of gastronomic perfection - everything that helped mold him into the culinary talent and media powerhouse that he is today. He also dishes the dirt on the rich and famous, and takes you behind the scenes of some of the great restaurants. 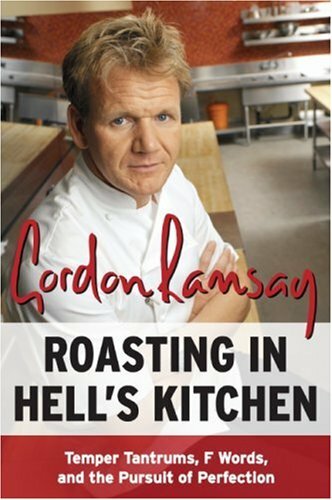 Honest, outrageous, and intensely personal, Roasting in Hell's Kitchen will not only change your perception of Gordon Ramsay but that of the cutthroat world of haute cuisine as well.